Boeing and Apple are among the top performing components of the Dow Jones industrial average one week after inflation readings come in greater than expected, history shows. CNBC used Kensho, a quantitative analytics tool used by hedge funds, to look at when the consumer price index beat expectations by at least 0.1 percentage point. The study covered 54 such occasions since 2001. 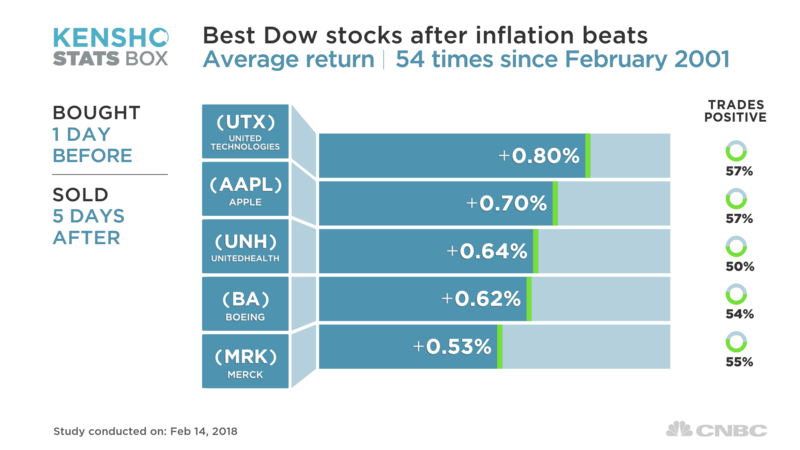 The top five performers in the Dow after better-than-expected consumer price index reports are United Technologies, Apple, UnitedHealth, Merck and Boeing, the Kensho study showed. Each stock climbed an average of 0.6 percent or more the week after a hot inflation report, with United Technologies and Apple the best performers, up 0.8 percent and 0.7 percent, respectively. On Wednesday, the consumer price index report showed a 0.5 percent increase in January, beating expectations for a 0.3 percent rise. The closely watched annualized core consumer price index increased 1.8 percent, above expectations for 1.7 percent. Boeing was among the top performers in the Dow on Wednesday, while the rest of the market bounced between gains and losses. The Kensho study found that the major stock indexes tend to waver around releases of faster-than-expected inflation data. The S&P 500 returns an average 0.05 percent one week after such a report and the Dow climbs an average 0.08 percent, while the Nasdaq composite falls an average 0.07 percent, according to Kensho. On the downside, commodity companies are hurt since such stocks are sensitive to the implications of increased inflation — a stronger dollar and higher rates. The U.S. dollar index spiked back above the psychologically key 90 level after Wednesday’s report, and Treasury yields climbed to near recent highs. 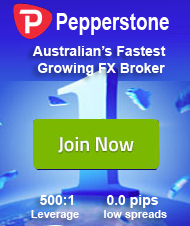 DuPont falls an average 0.32 percent one week after a inflation report tops expectations, while the S&P 500 materials sector also declines an average 0.32 percent as the worst-performing sector, the Kensho study showed. Procter & Gamble drops an average 0.26 percent as higher rates eat into its attractiveness as a stock given its relatively high dividend yield of 3.42 percent, according to FactSet. Disclosure: CNBC’s parent NBCUniversal is a minority investor in Kensho.